Who came first – sponges or comb jellies? A new study by an LMU team reaffirms that sponges are the oldest animal phylum – and restores the classical view of early animal evolution, which recent molecular analyses had challenged. The answer to the question of whether the sponges or the comb jellies (also known as sea gooseberries) represent the oldest extant animal phylum is of crucial importance to our understanding of organismic evolution. The two possible solutions have very different consequences for our understanding of central aspects of the early evolution of multicellular animals (Metazoa), such as the origins of nervous systems, tissues and organs. In recent years, new data have once again brought this issue into focus and given rise to controversial debates among zoologists. Now, a re-analysis of the evidence by an international group of evolutionary biologists has convincingly refuted the proposition that comb jellies are the phylogenetically oldest extant metazoan group. The new study, a collaborative effort by groups led by Professor Gert Wörheide (Chair of Paleontology and Geobiology at LMU) and Dr. Davide Pisani (Bristol University, UK) reaffirms the traditional view that the sponges were the first phylum to diverge from the common ancestor of metazoans. “Some recent studies seemed to imply that comb jellies were the trendsetters in animal evolution. But we were able to disprove this idea by using more powerful and sophisticated methods to analyze the genetic data presented in those studies,” says Wörheide. The new results appear in the journal “Proceedings of the National Academy of Sciences” (PNAS). Sponges (Porifera), comb jellies (Ctenophora), the true jellyfish and corals (Cnidaria) and plate animals (Placozoa) together make up the so-called non-bilaterian animals. All four phyla are evolutionarily ancient, and were already in existence more than 600 million years ago. However, unraveling the interrelationships between them – and how they relate to the Bilateria, to which all other animals, including humans, belong – has turned out to be one of the most challenging problems in evolutionary biology. “If we are to understand the evolution of certain key features of animals, such as their nervous systems, tissue organization and organs, we first have to clarify the early phylogenetic relationships” Wörheide explains. 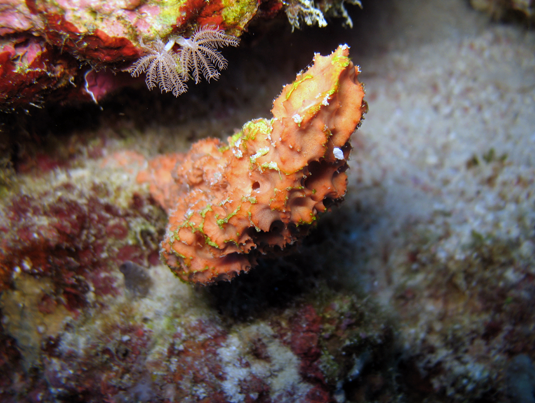 The traditional view of the issue postulates that the sponges were the first group to diverge from the lineage that gave rise to all other animals – in other words, Porifera are the sister group of all other animal species. This hypothesis is supported by studies of comparative morphological and functional anatomy, which are based on the recognition of structural similarities between the basic body plans of the various animal groups. However, the results of more recent phylogenetic analyses, derived from comparisons between sequences of specific genes and of whole genomes, seemed to point to Ctenophora as the first group that parted company with the lineage from which the rest of the animal kingdom (including sponges) evolved. In the new investigation, Wörheide and his colleagues reanalyzed the genome data reported in the earlier studies, and their results reject the “Ctenophora first” hypothesis. “The analytical methods used in the original reports were not the most appropriate for the task at hand, and this led to systematic errors in the modeling of sequence evolution,” Wörheide explains. With the aid of complex statistical techniques, he and his collaborators were able to identify the optimal evolutionary model, given the nature of the available data, and they employed a new method to correct for systematic errors. “Using elaborate calculation procedures, we were then able to demonstrate that the placement of Ctenophora at the base of the evolutionary tree of animals is artefactual. When the more powerful models are applied to these datasets, one finds that the sponges are indeed the earliest diverging animal group,” he says. Wörheide and colleagues used the new Compute Cloud at the Leibniz Supercomputing Centre (LRZ) of the Bavarian Academy of Sciences and Humanities for their complex calculations. The Compute Cloud is a high performance computer especially intended for ad-hoc usage. The team needed some 400,000 processor hours or just about four weeks for their data analysis – on a normal laptop the calculations would have taken more than 20 years. In subsequent studies the researchers plan to analyze further relevant datasets in order to test different scenarios of the evolution of the earliest animal phyla. In particular, they are also interested in clarifying the position of the simplest of all multicellular animals, the Placozoa. “Placozoans are enigmatic organisms whose phylogenetic position has not yet been conclusively determined,” says Wörheide. To solve that riddle, he and his colleagues are sequencing the genomes of several placozoans and sponges. This work is currently carried out in the context of the MODELSPONGE project, which is funded by LMUexcellent, LMU’s corporate development strategy.